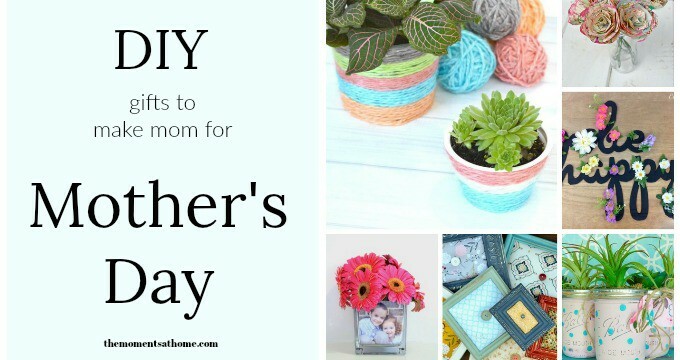 Give mom a handmade gift for Mother’s Day using one of these do-it-yourself project ideas! Make a personalized gift for mom that is full of love from this list if do-it-yourself gift ideas. She’s love unwrapping her handmade gift knowing that you took the time to make something special. Add photos to this DIY vase project for a special gift for mom. If your mom loves her morning coffee then this is the perfect gift for Mother’s Day. It’s also easy to make and turns out really cool! This personalized photo magnet is a great gift to make if you’re a little savvy with photo editing. Step by step instructions show you how to make a magnet for mom to hang on the fridge. 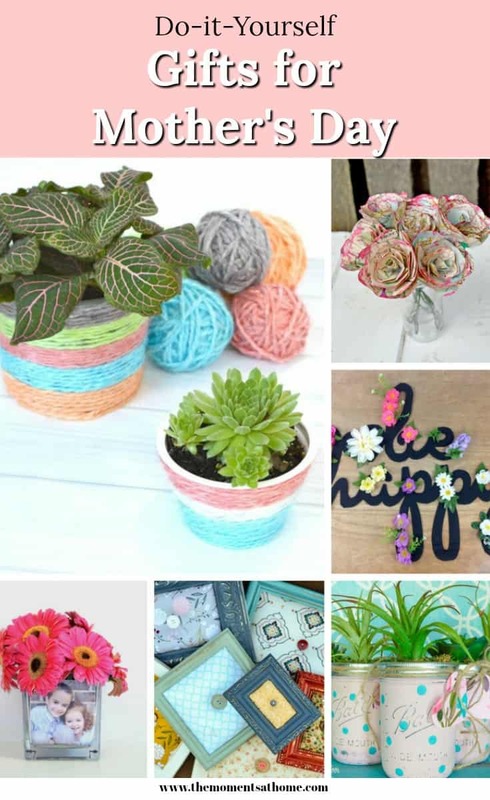 Another cool diy from Organized 31 is this yarn pot project for mom. What I love about these candles is the pretty colors available so you can make your mom a candle in her favorite color! If your mom loves to sew then these do-it-yourself pin cushions will be a big hit on Mother’s Day. Have you ever wanted to transfer photos to wood for a beautiful piece of wall art? This project tutorial will show you how! You would never know that the flowers in this wreath are artificial! Check out this pretty wreath tutorial for a great gift to make for mom. Here’s neat sign you can make using your Silhouette Cameo or from store bought numbers. I’m a huge fan of decoupage projects so this plate project easily makes my list. Isn’t it pretty? Here’s another pretty gift for mom that uses Scrabble tiles and is super fun. This is a unique flower bouquet made from maps! These pretty polk-a-dot mason jars can hold any small plant! Use cardboard to make this sign for mom as a pretty Mother’s Day gift! I love your collection of adorable crafts to make for Moms. Actually I think you could make these wonderful creations for any birthday as well. Thank you for sharing.